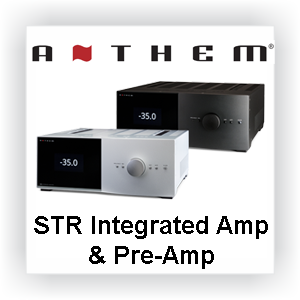 FREE Anthem STR Driver - The revolutionary STR Integrated Amplifier is based on an entirely new technological platform, for true benchmark performance in stereo amplification. 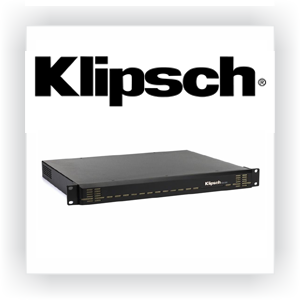 More power, more control, more connection options, and the most advanced technology available in a single, easy-to-use component. The Anthem STR Driver for Control4 enables full two way control over the STR range of products by Anthem including volume, mute, input, presets and more. Presets can be easily controlled by the customer on any navigator with two way feedback as well! FREE Fetch TV Driver - This driver provides discrete IR control over the Australian Fetch TV IP TV set top box along with the ability to select a channel directly from the Control4 user interface. We have also provided a free up to date channel media list with icons for ease of use. FREE Foxtel Channel Updater - This FREE driver will periodically update your Conrol4 cable channel media list with the latest Foxtel channels. 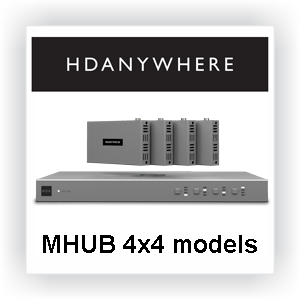 This ensures that your channels on Control4 are always upto date without having to manually update them. Google Android - The Google Android driver for Control4 offers control via IP over any rooted Android set top boxes. Launch your favorite application directly from the Watch menu and control it using your SR-260 remote. Icons Suite - The Chowmain Icon suite of drivers is designed for devices that can't (or shouldn't) be integrated into Control4 and have no controls once selected. Traditionally most integrators use a DVD driver to display these devices however the issue with doing this is that there is a DVD user interface that pops up with buttons and there is a DVD icon which isn't appealing to the eyes. Kaleidescape - Chowmain's kaleidescape driver for Control4 offers superior integration of any IP based Kaleidescape system into the Control4 home automation system with full movie and music searching, browsing, playback and more from Control4's touchscreens and user interfaces. KODI Lite (formerly named XBMC) - This driver is a cut down version of the Kodi Full driver with the ability to import Kodi's movie library into Control4 with meta data and cover art, automatically turn the system on upon airplay and upnp and if the screen saver activates automatically turn the room off. Can automate projector/room masking (black bar elimination) based upon the currently playing video aspect ratio plus many more features. KODI Full (formerly named XBMC) - This driver is the most featured packed media player driver in Control4 to date with the ability to browse movies, tv shows, youtube, music and more in Control4's user interface, automatically turn the system on upon airplay and upnp and if the screen saver activates automatically turn the room off. Can automate projector/room masking (black bar elimination) based upon the currently playing video aspect ratio plus many more features. 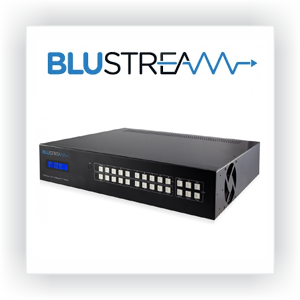 FREE Miravue VIP System - Miravue provides low-cost IP video distribution & control systems over Ethernet, coax and wireless infrastructures for the connected home, office and consumer through custom integrators. 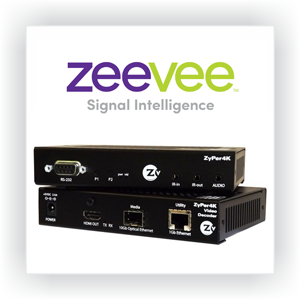 Our FREE driver provides switching, RS232 expansion and IR expansion. No Control - Video Game Pack - Drivers icons for ALL video game consoles ever made including Xbox One, Playstation 4, Nintendo Wii U, Nes Classic Edition and more. Oppo Bluray (All Models) - This driver provides advanced two way control/feedback over all Oppo bluray players including the new UDP-203 This two way feedback provides the consumer with an emersive experience where feedback from the player automates lighting, projection modes, screen masking, automated projector/tv/receiver power and more. Driver for Plex (FULL) - This driver provides full library integration of Plex into Control4 including movies, tv shows, photos, music and more. This is the ultimate Control4 driver for Plex and can be used for devices like Roku, Amazon Fire TV, Sony Android TV's, Plex Home Theater/Plex Media Player HTPC's. Driver for Plex Home Theater - Plex Home Theater is a software based media player that is available on mac osx and windows based operating systems. Plex offers a beautiful simple interface that enriches your movie playback experience. Chowmain's driver enables us to integrate the Plex Home Theater software into Control4 with seamless control and feedback. Note if you want a better experience check out the Chowmain Driver for Plex Full below. Driver for Plex Media Server - Chowmain brings simple automated movie management to Control4 with its set and forget movie import functionality using Plex Media Server. Enhance your Control4 user interface with movie cover art and meta data. Works with any media player that supports movie playback from Control4 including the Netgear EVA8000/9000/9150, Dune, Plex Home Theater and more. British Sky+ HD / Sky Q Driver - This driver provides IP control over the British Sky+ HD & Sky Q / Sky Q mini set top boxes along with the ability to select a channel directly from the Control4 user interface PLUS the ability to automatically update the channel meta data / artwork from the internet with information about whats playing on every channel with HD artwork.